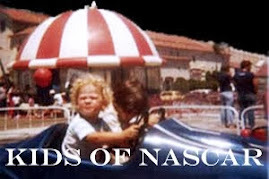 There have been few bigger proponents of young racing talent anywhere in the sport than Championship race Team Owner Chip Ganassi. For over 25 years he has identified, hired and developed some of the best young racing talent from all around the world. Subsequently, Chip Ganassi and his Chip Ganassi Racing Teams (CGRT) announced today the creation of the Generation Ganassi (Gen G) racing talent identification program, a mentorship that will look to identify and assist North America’s young and talented race car drivers. 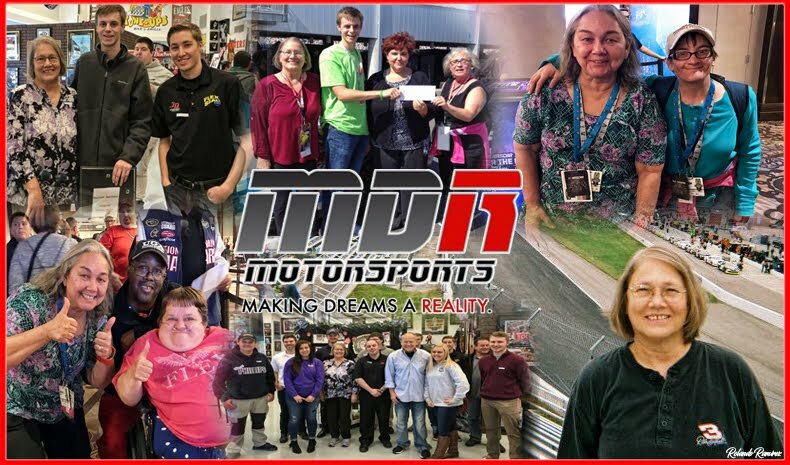 The program identifies 13-18 year old drivers as “Ones to Watch” in the world of auto racing and offers professional guidance to aid in fostering their growth within the sport of auto racing. The first recipient of the 2016 Generation Ganassi moniker is a 15-year-old driver from Canada named Devlin Defrancesco. 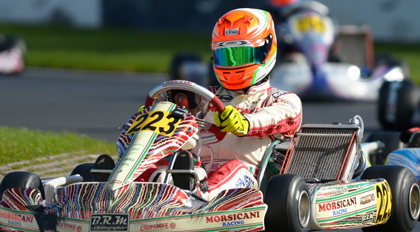 Defrancesco has been racing karts since 2006 where he has had much success including winning the Canadian National Junior Championship in 2013, also named Vice-Champion of the CSAI Italian Championship and was third overall in the CIK FIA European Karting Championship. In 2015, he joined British racing team Carlin Motorsports to prepare for races in the FIA Formula 4 Championship. You can follow Devlin on Twitter (@DevlinD00) and on Instagram (devlindefran17). Gen G - Generation Ganassi: Each year, CGRT will identify at least 10 young drivers from karting, sprint cars, modified, midgets, late model, etc. and each will be paired with one current CGRT driver, a CGRT racing competition person and also someone from CGRT business operations to help guide them through the turbulent waters of auto racing. In addition, each Gen G winner will get the Gen G logo to display on their car, helmet and firesuit. 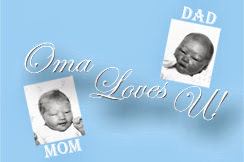 Gen G takes its name from the Generation X, Y and Z monikers given to new demographic groups. Gen G will now refer to the young race car driver that aspires to take racing from simply a passion to a profession. A History of Spotting Talent: CGRT owner Chip Ganassi has a long history of identifying and developing young driver talent, from former drivers like Jimmy Vasser, Alex Zanardi and Juan Pablo Montoya to current talent like Scott Dixon, Jamie McMurray, Kyle Larson and Sage Karam. Ganassi drivers have won eight Rookie of the Year Awards with drivers Eddie Cheever (Verizon IndyCar Series), Zanardi (Verizon IndyCar Series), Montoya (Verizon IndyCar Series/NASCAR Sprint Cup Series), McMurray (NASCAR Sprint Cup Series) and Larson (NASCAR Sprint Cup Series, NASCAR XFINITY Series and K&N Pro Series East). How To Be Considered: Gen G is open to any young drivers between the ages of 13-18 in any form of stock car or open wheel racing program anywhere in the country. Candidates must complete an online application process including basic background questions and a brief video essay answering why they should be selected to enter the program. Submission of a video that highlights their racing achievements, interaction with family and friends and personality is also encouraged. The application window for the first full class will be open today and the deadline for submissions Jan. 31, 2016 with the winners being announced in March 2016.